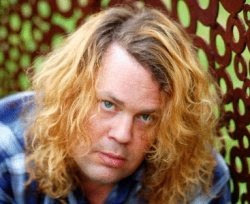 Multi-instrumentalist and former Wilco member Jay Bennett died in his sleep the morning of Sunday, May 24. He was 45 years old. Bennett, who was part of the band from 1994 to 2001, had currently been running a recording studio in Urbana, IL. I will continue to stay as active as I possibly can, making music, and staying in touch with all of you (my friends), as the surgery approaches, and later, whilst I am recovering. With any luck, by mid-summer, I should be a new man (albeit bionic---“we can rebuild him”). This whole experience has really taught me to look both inward and outward for support, and I’ve learned things about myself that I thought I had completely figured out years ago. Family and friends have helped me to keep faith in a future that will actually be much more carefree than my constricted present state. I encourage you all to tell me stories of recovery, as they really do help…if you don’t mind. All in all, I’m “in a really good place” right now; I’m just waiting until I can make it all happen. Bennett filed a lawsuit against Wilco front man Jeff Tweedy earlier this month over royalties from work released with his contributions and from the group's 2002 documentary, "I Am Trying to Break Your Heart." Portions of the documentary detail the strained relationship between Bennett and Tweedy, which ultimately resulted in Bennett's departure from the band. Tweedy said in a statement today that he was "deeply saddened" by Bennett's death, describing him as a " truly unique and gifted human being and one who made welcome and significant contributions to the band's songs and evolution." For more information, see reports from the Chicago Sun-Times and the Chicago Tribune.